De Bleu à Blanc, the specialist in wild water activities. Over 20 years experience-in all wild water activities ! According to your desires, De Bleu à Blanc propose everything what's possible on a Raft, Canoe or Hydrospeed (etc...). 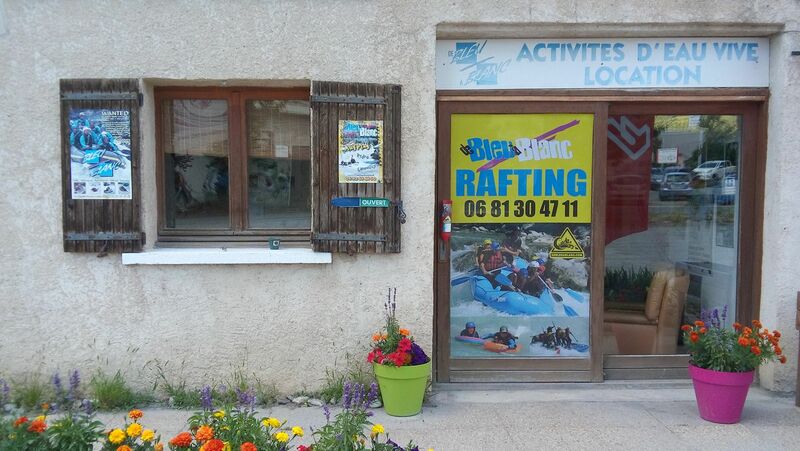 Our rafting-base is located on the riverside of the Durance, but we're close enough from l'Ubaye or Guil, to explore other sites. Our services include: transport (except for Canyoning), insurance, nautical equipment, wet suit, technical supervision, hot showers after the activities and bar and terrace. Contact us for special group and family prices. Join De Bleu à Blanc in Embrun, in the Hautes-Alpes. The base is located opposite ""Garage Davin"", in between ""La Petit Mousse"" and Biocoop ""Grain de Lin"".